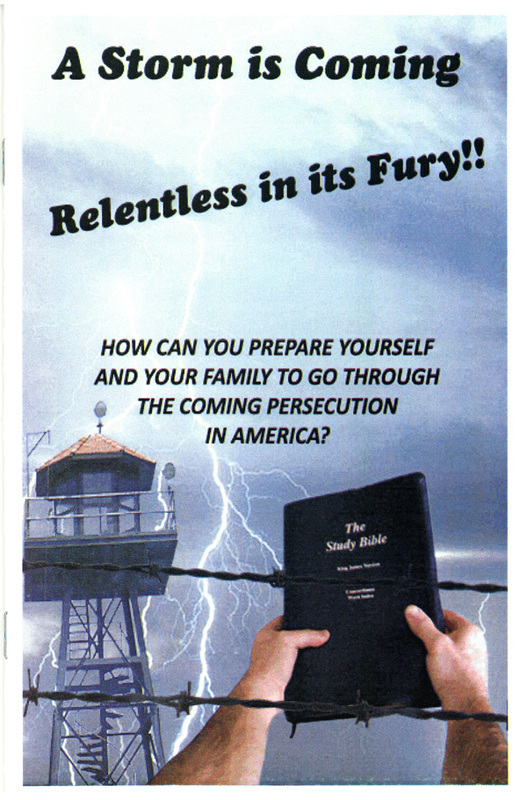 How can you prepare yourself and your family to go through the coming persecution in America? As the black clouds of persecution grow ever closer, a small remnant sees it coming and are preparing for it. However, the vast majority of Americans, and yes, even Christians, remain in a deep sleep in a blindfolded deception, confusion, and delusion. First copy FREE, additional copies $.50 each + S/H.